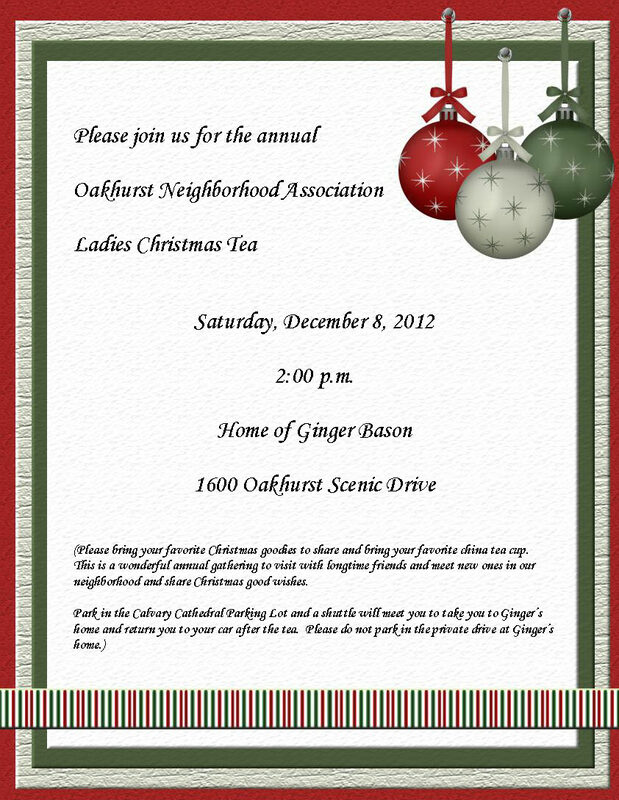 Please see your invitation below for our upcoming ONA Christmas tea! Please plan to join us on December 8th, share a cup of tea and Christmas goodies, and visit with longtime and new Oakhurst neighbors! For more details, click on the image above or see our Current Events page.